Today Fan-art is by Kathryn Hudson. I saw it on http://www.babble.com. It’s Disney couples going to the prom. 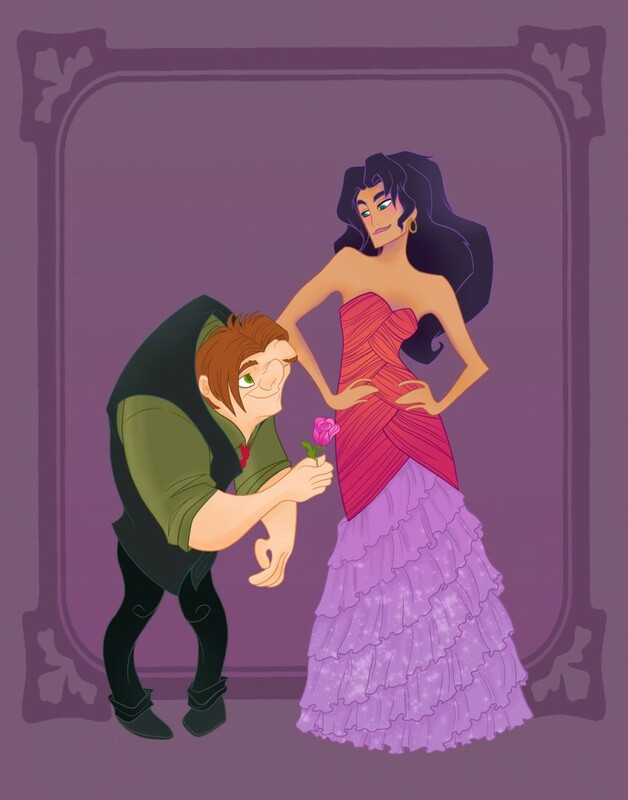 Here is Quasimodo & Esmeralda’s prom photo. I rather like the design of her dress it’s a nice modern interpretation of her red dress. You can see the rest of Hudson’s Disney prom illustrations here and he sure to check Hudson’s website.